Most good things in Haiti are more expensive than in the states. Well, that's my opinion of course. Cheese, chocolate, bacon...are ridiculously expensive. And therefore rationed in our house. 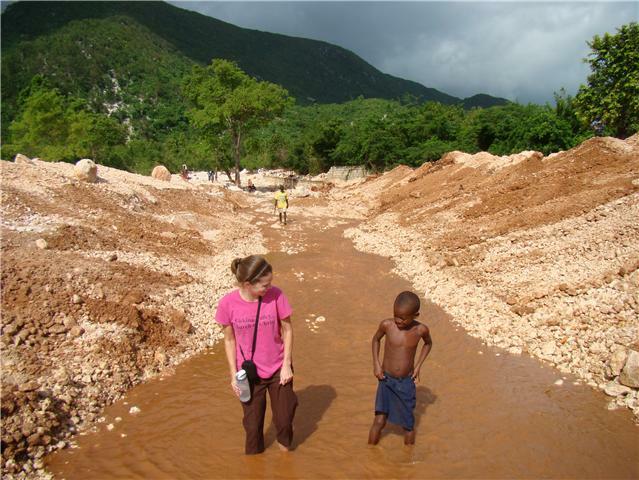 But, there are certain things that are much much much cheaper here in Haiti. I never tasted Lobster in the states before. Mainly because of the price tag (and partially because I HATE shrimp and always thought they had the same taste). I have been buying lobster off a local fisherman here for 4 years now. He dives down and gets the lobster fresh in the morning and come by the house around 11 or 12 selling them. In the past he has always sold them for $1 US each. Today he came by the house and said he was sorry but he has to raise the price of the lobsters. Until he said he was raising it to $1.25 US a lobster! Of course I had to hide my joy deep down inside to not mess up the bartering/bargaining game played here in Haiti. And then I ran into my house and got 12.50 to pay for my 10 lobsters! but there's a pot full of boiling lobsters that are calling my name!